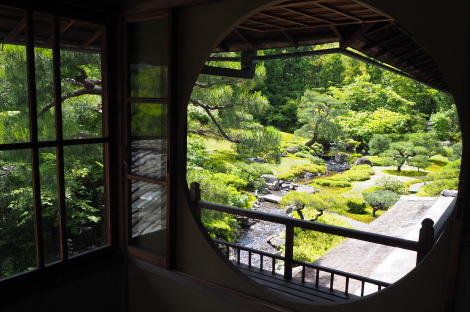 We offer a special tour of Tairyu-Sanso, one of the most famous of the villas in the vicinity of Kyoto’s Nanzenji Temple, limited to guests staying at Sowaka. Tairyu-Sanso, not usually open to the public, consists of buildings and gardens, including a study and tea ceremony houses on the west side of an 1,800 tsubo site (1 tsubo = about 3.3 m2), and gardens on the east side. 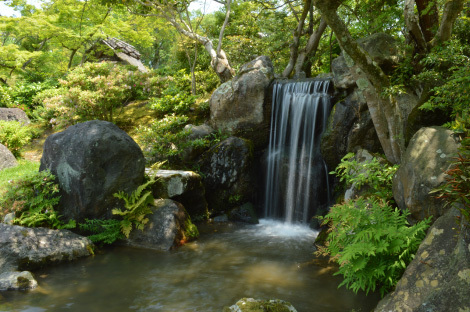 The garden is the work of the seventh generation Ogawa Jihe, the master modern gardener, also known as “Ueji”. Guests who join this special tour are guided in the Tairyu-Sanso garden by Tomoki Kato (a professor at Kyoto University of Art and Design), who is a representative of Ueyakato Landscape Co., Ltd., which serves as the custodian of the garden at Sowaka. Shiro Ogawa, who is the curator of the Tairyu-Sanso, narrates the tour and guides guests through the buildings and the art museum. will be opened exclusively for guests staying at the hotel. 9:00 am: Meet in hotel lobby. (Please have breakfast and check out beforehand). 9:30 am: Arrive at Nanzenji Temple. Walk to Tairyu-Sanso for the tour. 12:00: Tour ends and guests are free to leave the site. Reservations can be made on the web at https://sowaka.com/ or by telephone at 075-541-5323. ※ Posting photos of Tairyu-Sanso (taken on the day of the tour) on the internet, including social networking sites, is strictly prohibited. Thank you for understanding in advance. Guests can take a special tour, guided by the priest of Kiyomizu-dera Temple, of sites that are usually off-limits to the public, including the Sange on the Footprints of the Buddha, the Inner Shrine of the main temple building, and Jojuin, which contains the famous so-called Moon Garden. Without worrying about time and worldly matters, you can stop here for a brief time to face yourself. We suggest this program for guests who are usually busy in their everyday lives. We will let you know when the tours will be conducted as soon as we know. Kita-no-Mandokoro, the wife of Toyotomi Hideyoshi, built Kodaiji Temple as a place to pray for the repose of his soul after his death. 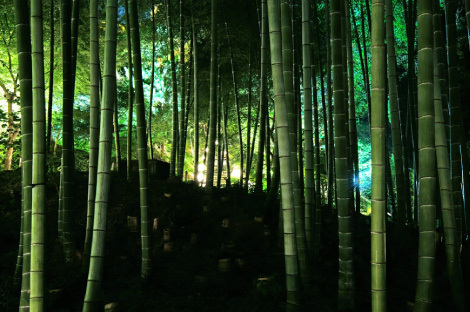 Kodaiji allows special night visits in the spring and fall. Many people visit this temple every year. 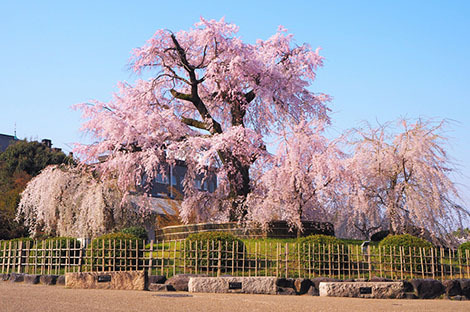 In the spring they come to look at the weeping cherry tree, wondrously rising up in Hojo Garden. In the fall, when the temple is lit up, many people come to see the splendor of the red autumn leaves reflecting in Garyochi Pond. Sowaka reserves Kodaiji Temple at night especially for guests staying at the hotel for a luxurious experience to be savored by adults. Amid the silence, our guests can enjoy to their heart’s content this space steeped in history and culture, reserved exclusively for them. We certainly hope that you will enjoy this special visit. The details of the next time these visits will be held are not yet decided. We will let you know as soon as they're available. It is Sowaka’s intention to enable our guests to experience “the real thing,” including the craftsmanship of the craftsmen involved and Japanese cultural tradition. One way for us to provide guests with this experience is by arranging garden tours led by a gardener of Ueyakato Landscape Co., Ltd., who takes care of the garden and planting at Sowaka’s main building. At the core of authentic Japanese culture and tradition, including the tea ceremony and flower ceremony, is the heart of the Japanese people who revere and cherish nature. How did our predecessors perceive and confront nature? 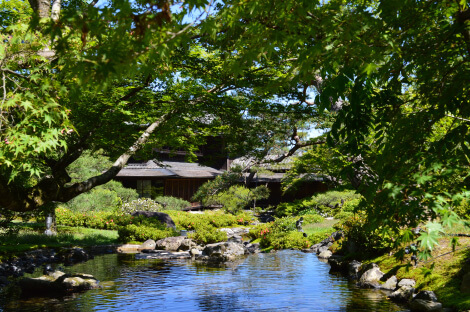 This tour provides a look at the aesthetic sense of the Japanese people as seen in a Japanese garden, from the perspective of a gardener. We arrange programs for our guests to experience the gardens at the temples Nanzenji, Murinan and Chishakuin, maintained by Ueyakato Landscape Co., Ltd., and even gardens that are not usually open to the public, at the best times to see them during each of the four seasons. The details of the next time these tours will be conducted are not yet decided. We will let you know as soon as they're available. to enjoy your stay in Kyoto. Kiyomizu-dera Temple, a World Cultural Heritage site, attracts more visitors than any other of the famous sightseeing spots in Kyoto. How about visiting this temple before breakfast in the early morning when the sky above Higashiyama begins to grow light with the dawn? While you sense the murmur and wind in the trees of Mt. Kiyomizu, your day within the silent precincts of the temple begins, away from the daily hustle and bustle – which will certainly make for a cheerful time. Available during the hours that Kiyomizu-dera is open to the public. 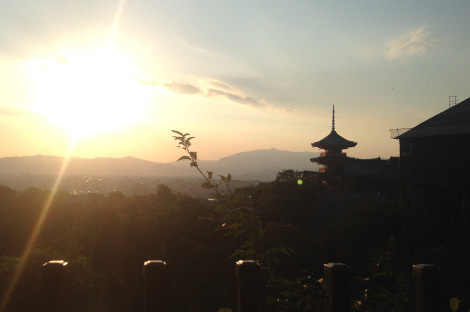 Since the time is subject to change, please confirm the details on the Kiyomizu-dera website. It’s a 15-minute walk to Kiyomizu-dera. 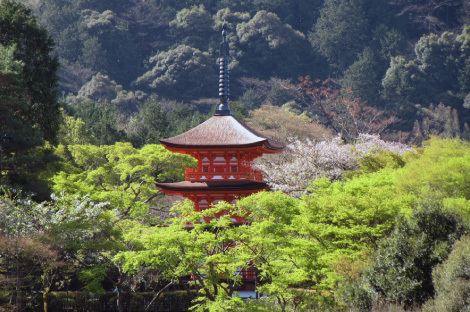 A Kiyomizu-dera Temple admission fee is required to visit the main temple. One method of Buddhist practice is Nissokan. The practitioner gazes at the sun setting in the western sky, keeping it in mind everyday. It’s that simple, but this daily act is said to have been spread to the general populace by Buddhist priests. Try to face yourself for a brief time with a tranquil mind, at the western gate of Kiyomizu-dera, one of Kyoto’s best evening sights. Sowaka is located in Higashiyama, which, with so many famous sites, is the best area for walking around Kyoto. 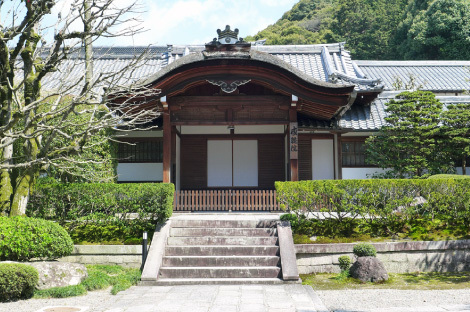 Ishibekoji, Nenenomichi, Ninenzaka and Sanneizaka, whose townscape is strictly preserved and maintained by Kyoto City law as a historic building preservation district, have many must-see sights that you can enjoy while just walking around. 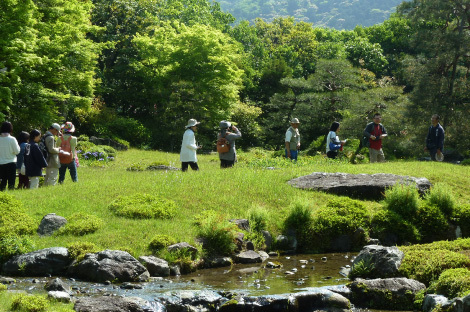 Recommended is the walking course to Maruyama Park and Chion-in Temple by way of Ishibekoji to Nenenomichi. Beyond the stone-paved street of distinctive ambience are buildings you can enjoy while walking around, including Gionkaku of Daiun-in Temple, which can be seen from Sowaka, and Chourakukan, whose classic Renaissance exterior produces an elegant atmosphere.